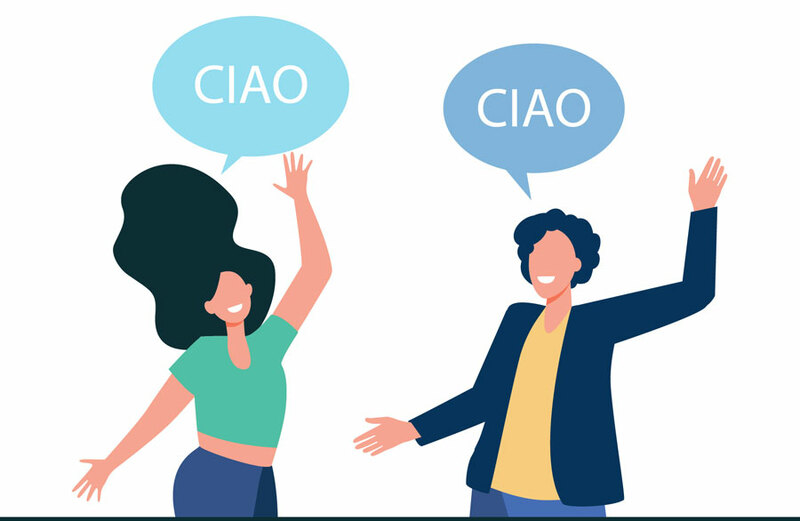 Ciao is Italian most common and simple greeting word. It's used with relatives and friends both when meeting and when leaving. It comes from an old Venetian dialect word meaning slave: Sciao (Schiavo in standard Italian). 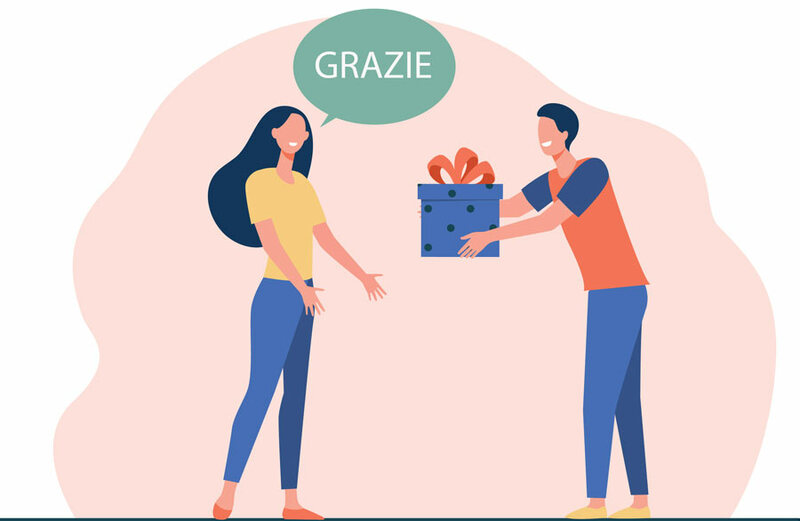 Sciavo was used as a greeting world meaning "I'm your slave" i.e., "I'm at your service". When said fast Sciao S dropped and remained ciao, which was then used all over Italy. Used during daytime when meeting people, visit someone, entering a shop, a restaurant, etc. It's a word made by Buono (good) and Giorno (day). Used to greet people from afternoon on. It varies with regions and people sensibility, but in general you won't be wrong by saying Goodevening from 5:00 p.m. on. Used when leaving to get home at night. 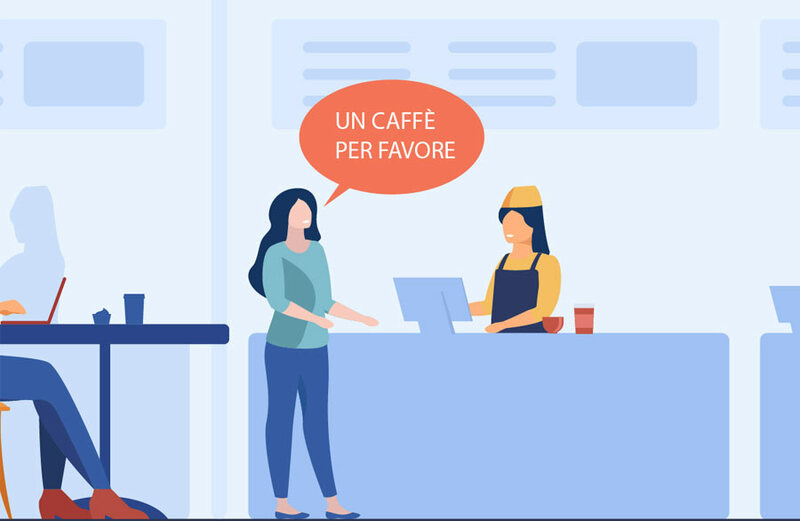 Per favore is used when asking somebody a favor or making a request. 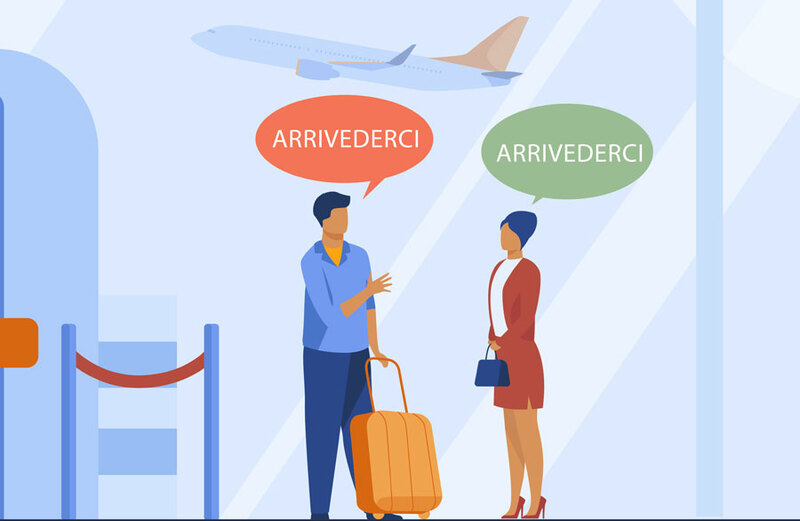 It's a very useful phrase you can easily use in bar, restaurant, cafes, etc.